Missionaries operate on the front line between cultures. We don’t hear so much about missionaries these days.Today they are seen by many as invasive, forcing their language, culture and religion on an unwilling population – as another form of colonialism and exploitation. It was not always this way. In the 19th century many Europeans and Americans emphasised their racial, cultural, economic and religious superiority over black or coloured peoples. Earnest Christian believers felt called upon to obey Christ’s injunction to “go ye into all the world, and preach the gospel to every creature” (Mark xvi.15). 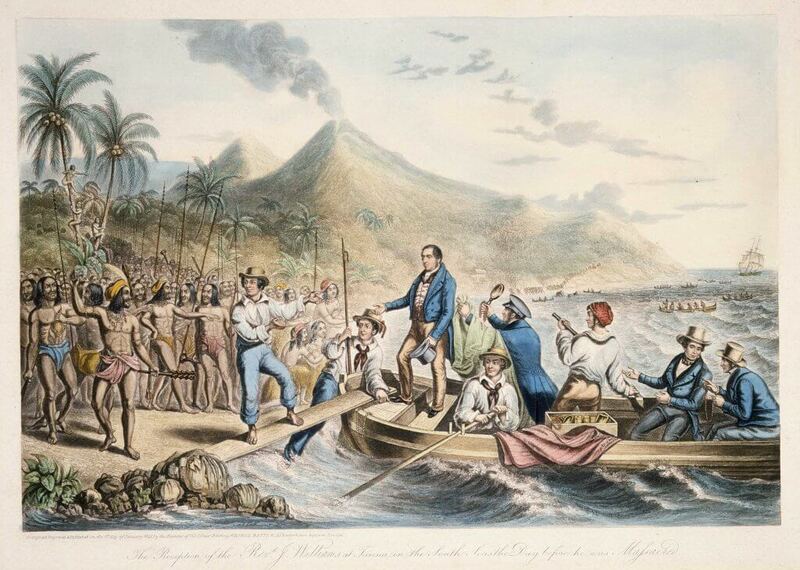 A number of missionary societies were formed: the Baptist Missionary Society (1792), the London Missionary Society (1795) and the Church Missionary Society (1799). Missionary included ordained ministers, educationists, doctors, nurses and others. At the height of the missionary movement, between 1880 and 1920, around 60 British missionary societies were actively engaged in this work with many thousands of missionaries. 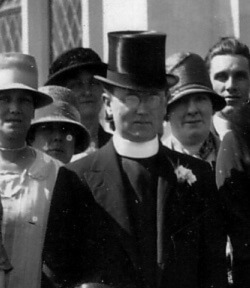 Ven Albert Bushnell Lloyd (1871 – 1946) a vicar for Combe Down from 1930 – 1933. He was a missionary and Archdeacon of Western Uganda. He wrote a number of books Uganda to Khartoum (1906), In Dwarf Land and Cannibal Country (1907), Dayspring in Uganda (1921) and Apolo of the Pygmy Forest (1923). Rev Francis Pocock (1829 – 1919), vicar for Monkton Combe from 1863 – 1876. He started Monkton Combe school. Before this he was in Sierra Leone and was ordained there, becoming chaplain to the Bishop from 1855 – 1858. During his time there he established a missionary school in Freetown. He also met Dr David Livingstone. Rev Sir Montagu Harry Proctor Beauchamp (1860 – 1939), vicar for Monkton Combe from 1914 – 1918 and one of the Cambridge Seven: students from Cambridge University, who, in 1885, decided to become missionaries in China. There was also the Rev Percy Ewart Warrington (1889 – 1961), vicar for Monkton Combe from 1918 – 1961 founder of Martyrs’ Memorial Trust. and a fascinating but unsympathetic character. He ran a sort of religious, ‘reverse Ponzi scheme’ and founded or bought fourteen schools or colleges but ran them in an illegal and financially disastrous way by investing their profits in a wasting asset – advowsons – which, eventually, led to him having to resign all his positions and the schools to be rescued. Even with all the problems he created he left behind a legacy of the Allied Schools, St Peter’s College, Oxford and Trinity College, Bristol. One small mystery remains. He left an estate of £47,121 12s 1d in 1961 which is worth about £2,197,000.00 now – how was that acquired on a ‘parsons salary’?